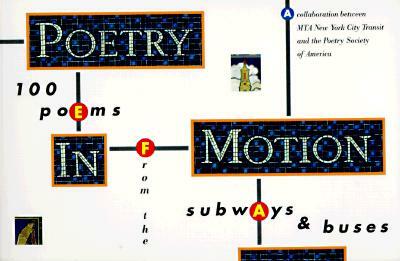 A rich gathering emanating from the immensely popular poetry placards displayed on the subways and buses in New York City, Poetry in Motion offers an eclectic mix, ranging from Sappho and Slyvia Plath to W.H. Auden and ninth-century Chinese poet Chu Chen Po. Each work has, in 16 lines or less, the power to enliven the quotidian, provide nourishment for the soul, and enchant even the youngest among us. Illustrations.